You just swiped your credit card and two men come out of nowhere and hold you down while they shackle you with a ball and chain labeled “DEBT”. Seem a little dramatic? That’s not too far off from what some financial gurus believe. 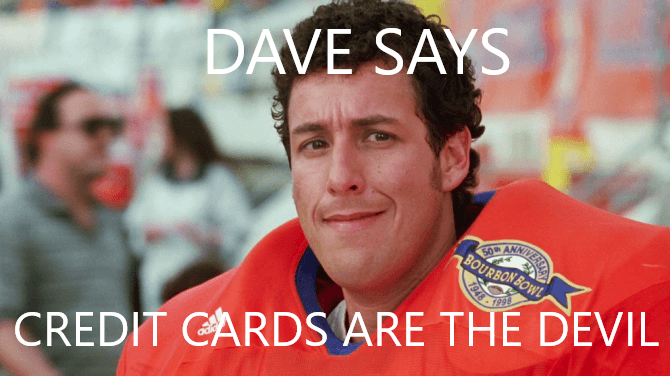 Dave Ramsey is one of these well-known gurus that doesn’t hide his negative views of credit cards. Overall he’s a great source for financial knowledge, but I have to disagree with him on this one. He sees credit cards as a great way to get yourself into trouble with debt and honestly, I strongly agree with that point. The problem is that he completely writes them off because he doesn’t believe that responsible credit card use exists. That is where he is wrong. If you follow these simple rules you will be just fine. 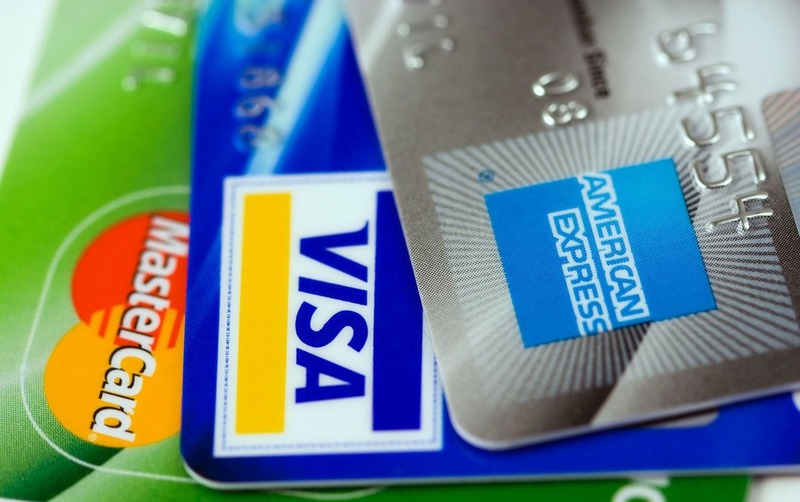 Now that we’ve gone over the dark side of credit cards let’s get to the benefits. Cash back, airline miles, and hotel points are just a few of the rewards you can get for using a credit card. Some will even give you a substantial cash reward on top of other benefits if you spend a certain amount within a time period (e.g. receive $150 for spending $500 on the card within the first 3 months). These are basically free added bonuses for doing nothing special. Just watch out for annual fees. Many cards don’t have one so try to get one of those. There’s a reason that a lot of people stress about their credit score. Many companies base how much interest they charge based on your credit, so by having good credit you can end up saving THOUSANDS. This is especially important when making big purchases such as vehicles or houses. As long as you pay off your card and don’t miss payments you will build up your credit and being doing yourself a big favor. Wanna make a robber really happy? If so, walk around with large sums of cash. If you get robbed all of that cash is gone, but with a credit card you just call the card company immediately and cancel the card. Your funds are safe at that point and you likely won’t be responsible for their purchases even if they are able to make one. Most credit and debit cards have fraud protection so if your information is stolen and your card is used you won’t be liable for the charges. Credit is a little better than debit in this case because the money doesn’t leave your account like it will with a debit card. Overall credit cards are a great way to gain a little extra bonus for your purchases but again, make sure you can follow the rules above before you use one. If you don’t think you’re responsible enough then don’t use one and end up burying yourself in debt.